AM/PM – Arrival to La Paz (approximate arrival) and reception from the airport or bus terminal to transfer you to your selected hotel (Please don’t hesitate in sending us the complete details of your arrival, as we need those details in order to provide for you the best service available; likewise, we will need to know the name of the hotel that you will be staying at.). Upon arrival, reception, and accommodation in the hotel, you will have the day free in order to become accustomed to the climate and the altitude. HOTEL IN LA PAZ: Provides a hotel room with private bathroom + breakfast. Included: Transfer in + hotel. 08:00-08:45 am – Personal pickup from your hotel in the center of La Paz to start the trip to Tiwanaku via an asphalted highway; Tiwanaku is found 71 kilometers outside of the city of La Paz. 10:15-10:30 am – Arrival to Tiwanaku (approximate arrival), with a visit to the Lithic and Ceramic museums which house around 3,500 recovered archaeological artifacts, ceramic tools, and diverse stone, metal, bone, and leather pieces (monoliths, contrails, etc.) – as well as textiles; afterwards, we will visit the main archaeological site of Tiwanaku along with its principal ceremonial centers – like: the Pyramid of Akapana – which is devoted to the various religious cults and also to astronomy; the Semi-Subterranean Temple – a quadrangular construction site which contains sculptures in its walls that resemble the faces of various people from diverse ethnicities; the Templo de Kalasasaya (Temple of the Standing Stones in English) – which is the biggest temple of all of the religious centers; the Puerta del Sol (Passage to the Sun) – the most relevant cultural work in which can be seen the image of “Dios Sol” (Lord of the Staffs) and in which in its perimeter can be seen 48 figures which resemble winged creatures and kneeling men; and, Pumapunku. Pumapunku is outstandingly known for its perfect usage of lithic material to create immense sculptured blocks of stone. The visit to the rest of the archeological sites is approximately 2.5 hours; afterwards, we will get to enjoy a lunch that is typical to Tiwanaku, and then we will return to La Paz. 16:30 pm. 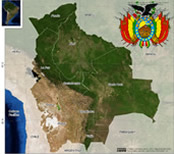 – Arrival to La Paz (approximate arrival). Included: Tour to Tiwanaku (shared transport, tour guide, entrance fee, lunch) + hotel. 07:00-07:45 am – Personal pickup from your hotel in the center of La Paz to start the trip to the peninsula of Copacabana via an asphalted highway; Copacabana is located 151 kilometers outside of the city of La Paz and the trip is approximately 3.5 hours long. 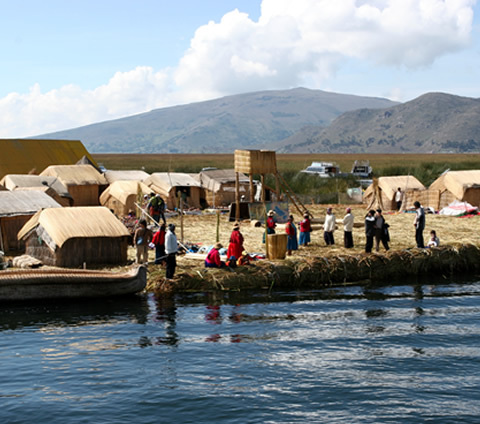 The trip is taken along the border of Lake Titicaca with an impressionable view of the Andes mountain range. Around MID-DAY – Arrival to Copacabana with accommodation in the selected hotel. 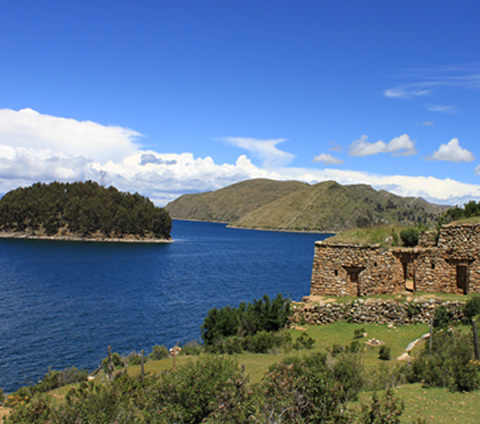 After lunch, we will start our tour to the Island of the Sun (Isla del Sol in Spanish), crossing the lake and arriving to the island approximately 1 hour later. Upon arrival, we will visit the archaeological sites of the religious center, Pilkokaina – the Temple of the Incas; afterwards, we will take a walk through the stairs of Yumani (created literally by the steps of our ancestors) until we reach the sacred Fountain of Youth (called Fuente de la Juventud in Spanish) where it is believed that a drink of sacred water from the fountain can purify one’s body and cause one to regain their youth; within the garden of this fountain, one can enjoy the Inka beauty which is found within. After visiting the island, we will return to Copacabana and find accommodation in the selected hotel. HOTEL IN COPACABANA: Provides a hotel room with private bathroom + breakfast. Included: Shared touristic bus from La Paz – Copacabana, lunch, tour to the Island of the Sun (shared boat, tour guide, entrance fees) + hotel in Copacabana or hostel on the Island of the Sun. AM – After breakfast, we will have approximately 2 hours to visit Copacabana; we will visit the Sanctuary of the Virgin of Copacabana, the local market – and, afterwards, we will ascend the stairs of the Calvario where we can appreciate the Yatriris, Amautas, Aymara people, and Quechua people who bless and invoke protection to every family. 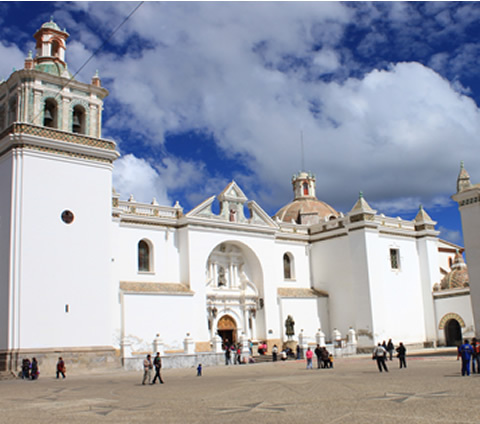 13:30 pm – We will take the touristic bus to the city of Puno, Perú. 16:00 pm – Arrival to Puno, Perú (approximate arrival). HOTEL IN PUNO: Provides a hotel room with private bathroom + breakfast. 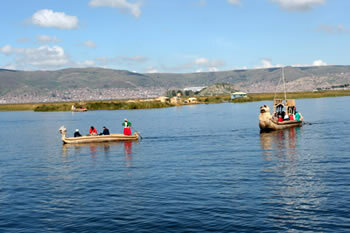 Included: Visit to Copacabana, lunch + touristic bus from Copacabana – Puno. AM – After breakfast, we will head to the port of Puno to take boat transportation towards what is called The Floating Islands of the Uros. Within these artificial islands (made of cattails), actual inhabitants live; these people (millenials) – known as the water tribe – have to reconstruct these islands periodically by adding new layers of cattails because the passing of time calls for such reconstruction. The inhabitants’ homes, and their boats, are made of the same material. Afterwards, we will continue our trajectory towards the Island of Taquile where we can appreciate the typical and rustic form of the inhabitants’ homes, taking in as well the picturesque scenery; the inhabitants still maintain their customs, rituals, religion, and folkloric traditions. On the island, we will be able to enjoy a typical lunch that has its base in fresh fish. AFTERNOON – We will return to the city of Puno. 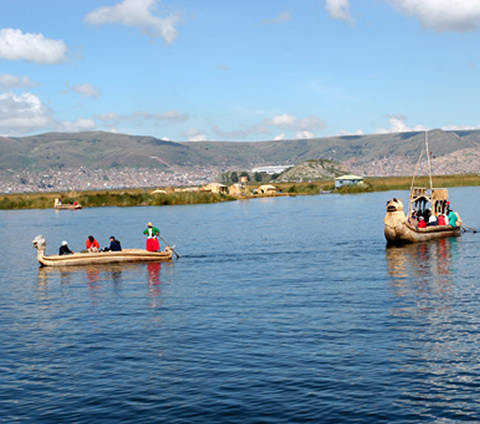 Included: Transfer to the port of Puno, Tour – Floating Islands of the Uros/Island of Taquile (shared boat, tour guide, lunch, entrance fees) + hotel. 06:20 am – Personal pickup from your hotel and then a transfer to the Puno bus terminal. Museum and Archaeological Sites of Pukara – Pre-Inkan culture; was developed on the shores of Lake Titicaca between 100 B.C. 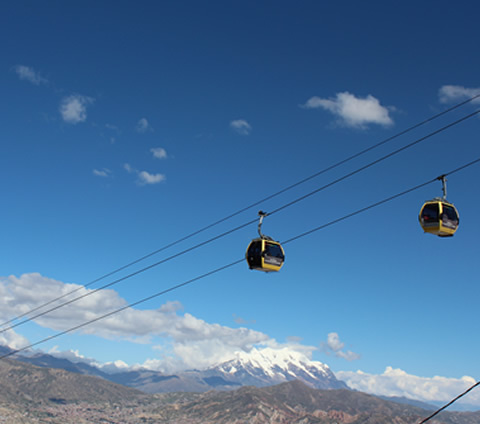 and 300 A.D.
La Raya – The highest place in our trajectory at an altitude of 4,321 meters above sea level; we will be able to appreciate a wonderful view of Andean mountain range of Villcanota as well as see some alpacas, llamas, and vicuñas. Archaeological Center of Raqchi – Known as the “Temple of the God Wiracocha,” this archaeological complex was in reality what is called tambo – that is, to say, it was used for commercial sales – similar to a market; in this archaeological center, you will have the opportunity to see homes, temples, palaces, astronomical observatories, food deposits, and walls. The archaeological complex is one of the most important constructions of the Inkan Imperial Empire and is characterized by its rare and extraordinary architectural technique – completely different from the rest of the Inkan constructions. Colonial Church of Andahuaylillas – Known as the “Sistine Chapel of America,” the church is one of the best expressions of colonial and religious architecture in the 17th Century due to the ornate and exquisite decorations of the chapel’s interior that also include a profusion of wall paintings on its walls and ceilings. 17:00 pm – We will arrive to the Imperial city of Cusco and then find accommodation in the selected hotel. Included: Transfer out/in, shared touristic bus from Puno – Cusco, tour guide, entrance fee, lunch (buffet) + hotel. 08:00-08:30 am – We will personally pick you up from your hotel and then take transportation via an asphalted highway towards the Sacred Valley of the Inkas; during the trajectory to this valley – which had a great transcendence in the Inka culture – we will be able to see typical villages, snowy mountains, agricultural terraces, markets that sell artisan items, and archaeological sites. First, we will visit the archaeological complex of Pisaq which is situated in the peak of the mountain; this wonderful place contains groups of agricultural terraces and dispersed architectural structures on the hillside. After the archaeological complex, we will visit the typical artisan market of Pisaq – a colorful place that exhibits a grand variety of typical artisan items made by the hands of their same artisan craftsman; the most skillful looking pieces of artisan craft are ceramics and textiles. Once in this place, you will have free time on your own account to make purchases if you like before continuing our excursion. We will continue our excursion passing through the villages of the Sacred Valley; some of those villages are the villages of Coya, Lamay, Calca, Yucay, and Urubamba. Passing through these villages, we will see beautiful flowers, as well as wildlife, until arriving to Urubamba where we will then enjoy a lunch buffet in a restaurant that sells typical food of the area. 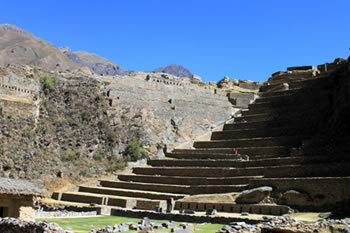 Continuing, we will head to Ollantaytambo (the Living Inka City) where we will visit the archaeological park that is one of the most important and most beautiful in the Sacred Valley; this place is an administrative, political, and religious center that is permeated with streets, plazas, and Inka temples. Regarding the park, even throughout the years it still continues being inhabited by generations of people who maintain Inka traditions and customs. 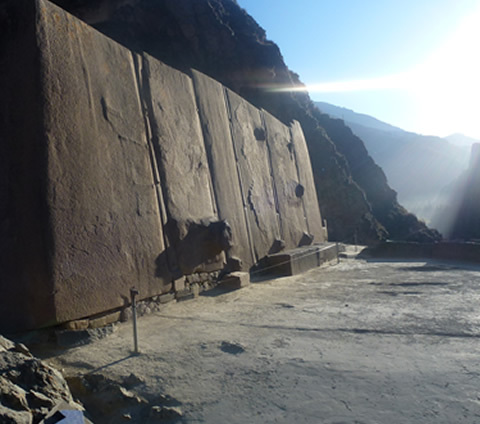 After our visit, we will find accommodation in our hotel that is found in Ollantaytambo. HOTEL IN OLLANTAYTAMBO: Provides a hotel room with private bathroom + breakfast. Included: Tour to the Sacred Valley (shared touristic bus, tour guide, lunch, entrance fees) + hotel. Village of Maras – Located in the province of Urubamba at an altitude of 3,300 meters above sea level; we will be able to appreciate the mountain range of Villcancota, as well as the snow mountains of Chicón (5,530 meters above sea level), Putucusi (2,560 meters above sea level), and Verónica (5,682 meters above sea level). 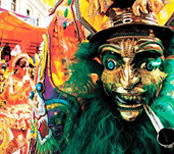 Of a truth, this picturesque village is encompassed with attractions of the colonial, pre-Hispanic, and republican periods and is highlighted by its village streets, as well as its colonial covers that sport the shields of chiefs and noble people of the 17th and 18th Centuries. 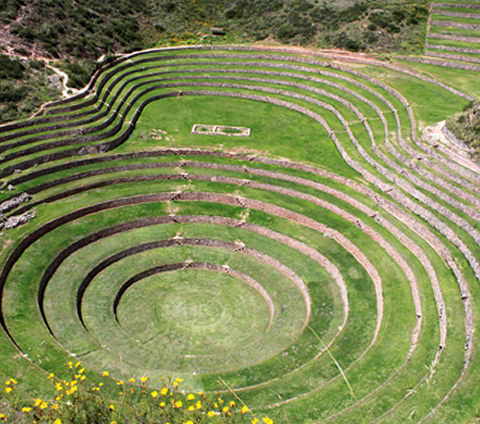 Moray – Found 7 kilometers Southeast of Maras and 53 kilometers from the city of Cusco, with an altitude of 3,385 meters above sea level, this unique archaeological group consists of gigantic natural holes that were used by the Inkan people who constructed terraces or agricultural platforms with their respective irrigation channels. Moray, a greenhouse prototype, consists of many holes – the greatest having a depth of 150 meters – and, the average height between each platform us approximately 1.8 meters. What is striking is the average annual temperature difference between the top and bottom which can reach a whopping 15ºC (59ºF) of temperature difference. In this place, there has been tremendous advances in agriculture. 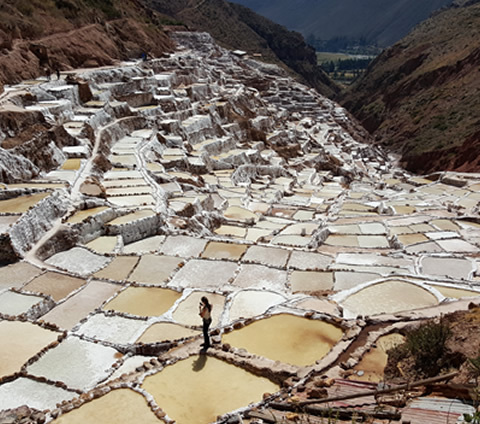 Salt Mines – Located in the Northwest of the village of Maras, the salt mines consist of about 2,000 small wells which have been exploited since the Inkan period as a means of economic exchange and are still being exploited by the local people to this day. It is said that the mountain has in its interior salt mines and also salt water that emanates from the mountain; they serve during the dry season to fill wells with salt water in the form of irrigation every 3 days so that – for a month – it can solidify gradually. Once the salt is processed, it is ready for consumption in the region. Once we have visited the salt mines, we will continue to Urubamba to enjoy lunch. AFTERNOON – We will return to the Inka village of Ollantaytambo. Included: Tour to Maras/Moray/Salt Mines (shared touristic transport, local tour guide, lunch, entrance fees) + hotel. 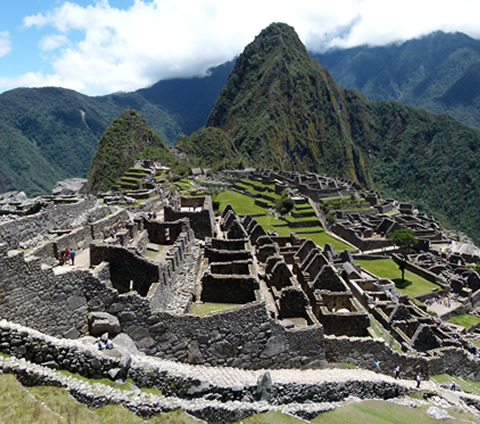 MORNING – After breakfast, you will have the morning free to enjoy the beautiful Inka city. 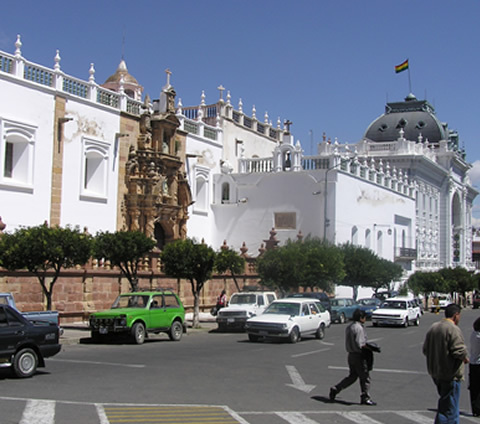 The Cathedral – Religious colonial monument of extraordinary artistic value. Temple of Koricancha (Temple of the Sun) – Its architecture is perfect, and the stone construction is a strong indication that this temple was the most important during the Inka Empire. Sacsayhuaman (House of the Sun) – A grand religious center of great importance. 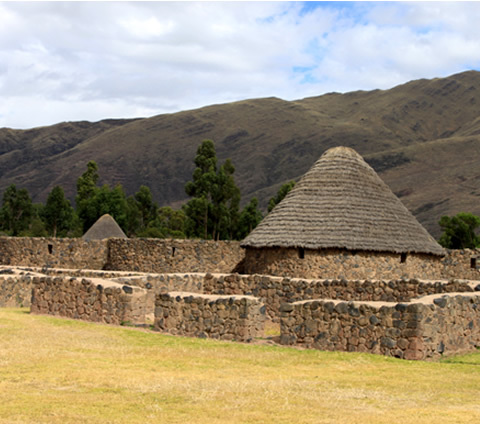 We attribute this structure to the ultimate dynasties of the Inkas; it’s located 5 kilometers from the city of Cusco. Qenqo – Located a kilometer from Sacsayhuaman, this structure is a ceremonial center in which you can appreciate in the center of the structure a monolithic giant – possibly an animal – that was considered the principal deity of the Inkas; surrounded by niches, the Inkas made offerings to the deity. Puca Pucara – An antique tambo, constructed by the Inkas as a point of vigilance; its construction is rustic and contains alleys, houses, and courtyards. Tambomachay – Found 9 kilometers from the city, this could a temple dedicated to the Inka water cult – but, it’s known as the Inka bath due to the form of its fountains. After our visit to Tambomachay, we will head back to the city of Cusco where you will have free time until the hour of our travel to the city of La Paz. 21:00 pm – Transfer to the Cusco bus terminal. 22:00 pm – Touristic bus from Cusco – La Paz (travel overnight). 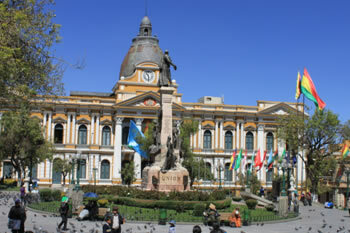 Included: City Tour (shared touristic bus, tour guide, entrance fees) + bus ticket from Cusco – La Paz. Around MID-DAY – Arrival to the La Paz bus terminal. AFTERNOON – You will have free time on your own account to relax. AM – After breakfast in the hotel, you will have free time until the start of our tour. You will have the opportunity to learn more about the natural, cultural, historical, and archeological richness of the beautiful city of La Paz, passing through several sites rich in historical value. 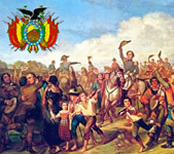 We'll be visiting: the Plaza Murillo, the Holy Cathedral, the Government Palace, and the Witches Market, in which the local people buy various necessities for the many ritualistic ceremonies in existence in Bolivia - including the ceremonies of Ch'alla and the offerings to Pachamama - "Mother Earth." After visiting the urban center of La Paz, we will pass through the Valley of the Moon, visiting also the residential neighborhoods of the Southern zone of the city. The Valley of the Moon gives every visitor a marvelous sensation of having discovered a world that has never been known and or really understood. Due to the many years of sedimentary erosion which have formed a set of amazing stony formations, it can be said that a passage through the Valley of the Moon is about as real a journey to the moon as one can get. We will take a ride in the Green Line Cable Cars (Teleférico Verde in Spanish), where you will see a different perspective of the city as you fly through its skies. 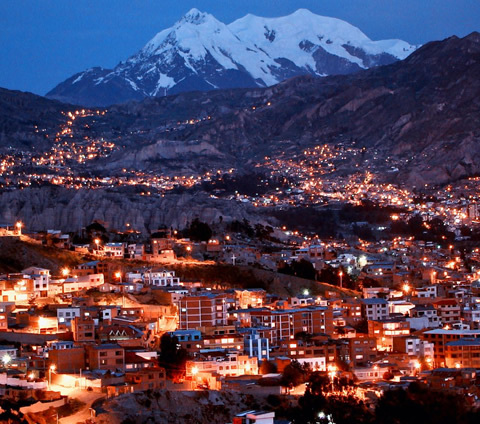 Throughout this sky adventure, you will capture a breathtaking view of the mountain Illimani, the surrounding mountains, and you will also experience the sweet mixture of modernization and tradition - all while the City of Wonders captures your heart, leaving behind an unforgettable experience. After the city tour, you will have free time until the hour of our transfer to the La Paz bus terminal.19:45 pm – Transfer to the La Paz bus terminal. 21:00 pm – Touristic bus from La Paz – Uyuni (night travel). Included: City Tour + Valley of the Moon and Green Line Cable Cars (shared touristic transport, tour guide, entrance fees), transfer out à La Paz bus terminal + touristic bus ticket from La Paz – Uyuni. 07:00 am – Arrival to the Uyuni bus terminal (approximate arrival), transfer to our office, and free time until the hour of our expedition. Train Graveyard – Where we will observe very antique trains and locomotives that date back to the end of the 19th Century; the majority of the trains made their routes with wagons that carried minerals – but, they only lasted for so much time. These trains were part of an industrial past, but now they that have been naturally transitioned into a wonderful, but mysterious tourist attraction. The Village of Colchani – Located on the outskirts of the Uyuni Salt Flats, the village of Colchani is the principal means of entrance to the Salt Flats where we will observe the activity of salt extraction in an artisanal form; the villagers will show us the extraction process which includes the drying, shaping, and bagging of salt for sale, and this process is now dedicated to the making of artisanal pieces which are made of different salt molds and textiles. Salt Mounds – The salt mounds which you will be able to observe are little pyramids of salt; the villagers of Colchani make these mounds to dry the salt and then later transport them to the village to be processed. In addition to seeing these mounds, we will also pass what is called the “Ojos de Sal” which are different colorful eruptions of salt within the Salt Flats that are often filled with water, giving them their peculiar colors. Salt Hotel – Located in the heart of the salt flats, this famous hotel is entirely made of blocks of salt; literally – from the inside and out – the walls, the floor, the beds, the tables, the chairs – everything is adorned in salt. The hotel hasn’t functioned as a hotel for a multitude of years, but it is definitely a wonderful museum to visit. Incahuasi Island (Isla del Pescado in Spanish) – Located likewise in the middle of the Salt Flats, Incahuasi Island is a rocky formation in which is found a multitude of gigantic cacti with altitudes topping more than 10 meters; from the top of the island, the entire Salt Flats can be seen – a beautiful sight. 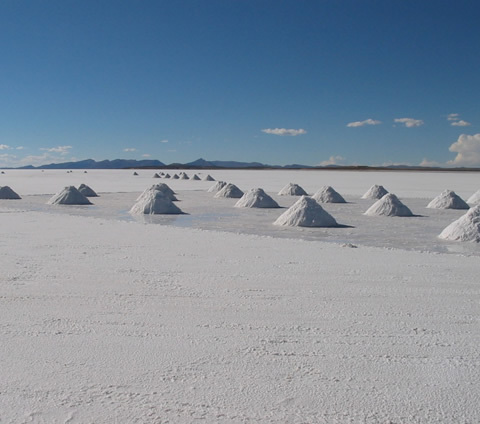 After visiting Incahuasi Island, we will have lunch and then continue to enjoy the dazzling white salt desert. AFTERNOON – We will make our way to the village of San Juan where we will spend the night in family homes (basic refuges). Included: Transfer in à Uyuni office, shared transport (4x4 Jeep – Land Cruiser), lunch and dinner + accommodation in family homes (basic refuges). 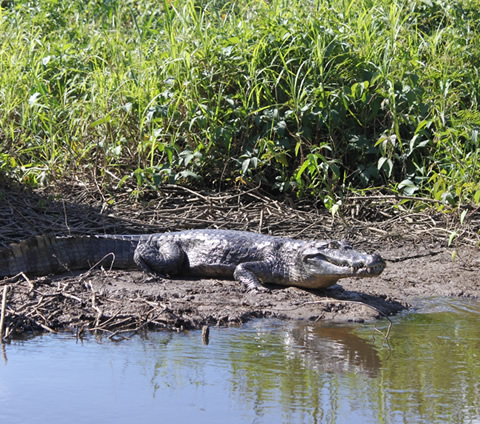 Not Included in the Tour: Paid Entrances to the Incahuasi Island, Colorful Lagoon, and Eduardo Avaroa Wildlife National Park (Approximately a Total of USD$ 28.00 [180 Bolivianos]); Snacks; Drinks; Tips for Transport Drivers. NOTE: Please take with you warm clothing, sleeping bags (available for rent from our offices), sun glasses, sun block, a camera to take pictures, gloves, warm hats, towels, lanterns, and hygiene bags; likewise, a rain coat during the months of December through March. 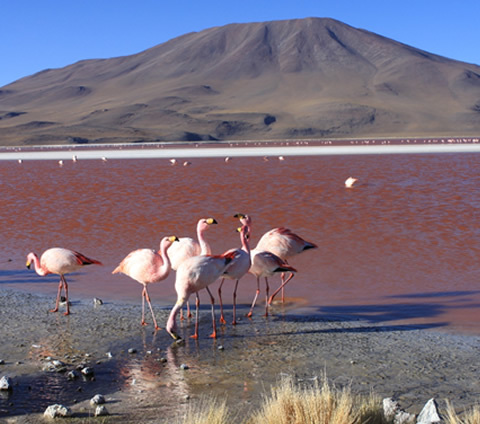 IMPORTANT: For the expedition to the Uyuni Salt Flats and also to the lagoons, there will be no tour guide due to the fact that the trip is landscapist and there is nothing to explain; the driver will give the necessary information in Spanish. AM – After breakfast, we will continue our adventure until we reach the Colorful Lagoon; during the trip, we will travel to the small Chiguana Salt Flats which are still in formation, and then we will stop to observe from a distance the active volcano of Ollague. We will also visit the lagoons of Cañapa, Hedionda, Chiarcota, and Honda where you will have the opportunity to see a myriad of beautiful flamingos. 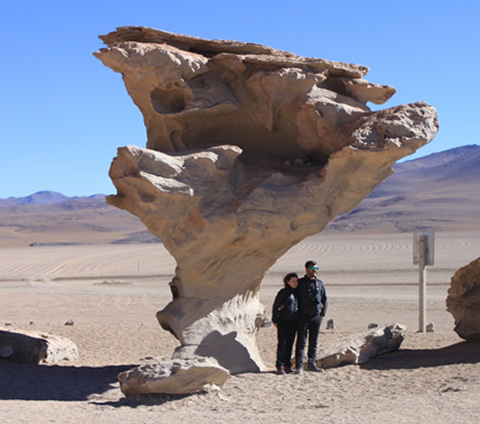 During the middle of the day, we will stop to have lunch – and, in the afternoon, we will pass by the Siloli Desert where we will see an interesting rock formation called Arbol de Piedra which is a peculiar-looking rock that resembles the shape of a tree. Passing the interesting rock formation, we will continue our way until we reach the Colorful Lagoon which is located in Eduardo Avaroa Wildlife National Park. The Colorful Lagoon’s characteristics are a sight to see; the red color of its waters are due to its sediments and also the pigments of different types of algae and plankton – but, it doesn’t always maintain the same color – and, depending on a variety of ever-changing characteristics (lighting, climate, etc. ), you can see different shades of blue, orange, purple, white, brown, and even green. 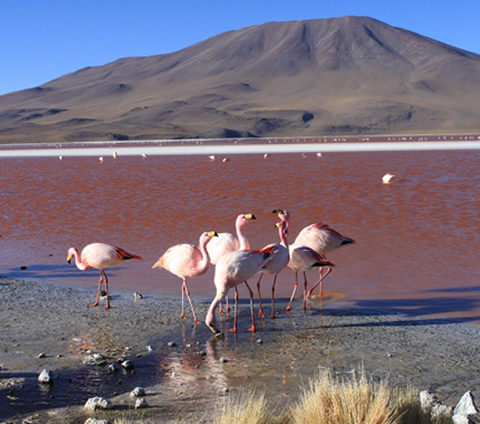 Likewise, you can see many Andean flamingos. AFTERNOON – Continuing for about 15 minutes, we will arrive to Huayllajara (approximate arrival) where we will stay the night in family homes (basic refuges). Included: Shared transport (4x4 Jeep – Land Cruiser), lunch and dinner + accommodation in family homes (basic refuges). 05:00 am – Early in the morning, we will set out to appreciate the Geysers – geothermal fountains within the volcanic zone of Sol de Mañana (Morning Sun in English); this place is the highest point in the route at 5,000 meters above sea level and the cold is intense. After visiting the Geysers, we will continue to a place called Polques de Chalviri where you will be able to take a relaxing bath in the thermal baths found within the place (optional – please take with you a towel and swimming trunks or a bathing suit); we will also have breakfast there and then head past the desert of Salvador Dali until we reach the White and Green Lagoons (4,350 meters above sea level) which are located at the foot of the Licancabur Volcano. The White and Green Lagoons’ characteristics are a sight to see as well; the green color of their waters are due to the high content of magnesium that is characteristic of the geographical formations of the area, but the intensity of the color depends upon the wind strength. The Licancabur Volcano is the natural milestone that divides Bolivia and Chile at the border. After stopping at the White and Green Lagoons, we will return to Uyuni, having lunch along the way, also passing through the Valley of the Rocks – as well as the villages of Villa Alota, Kulpinaka, and San Cristóbal; passing through these places, we will be able to see a great quantity of llamas and vicunas. 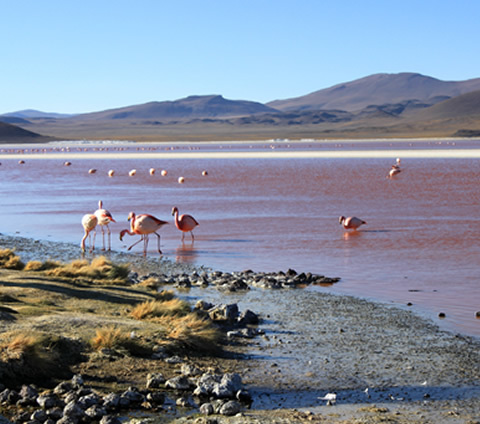 AFTERNOON – We will arrive to Uyuni where you will have free time until the hour of our transfer in return to La Paz. 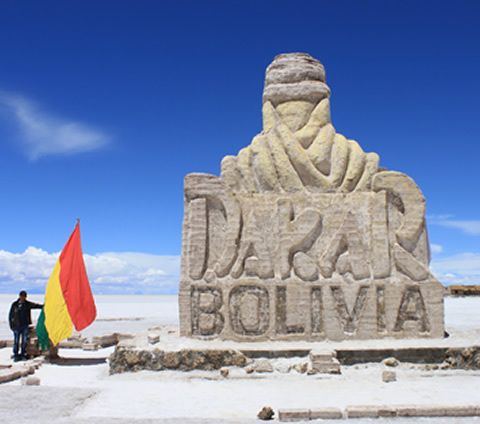 20:00 pm – Touristic bus ticket from Uyuni – La Paz (night travel). 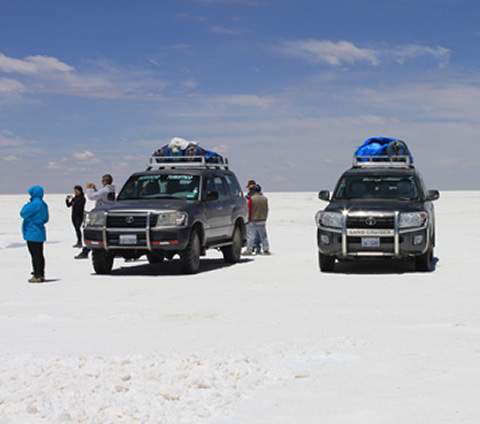 Included: Shared transport (4x4 Jeep – Land Cruiser), breakfast and lunch + touristic bus from Uyuni – La Paz. 06:30 am – Approximate arrival to the bus terminal in La Paz, accommodation in the selected hotel – then, you will have the day free on your own account in the city. INFO. 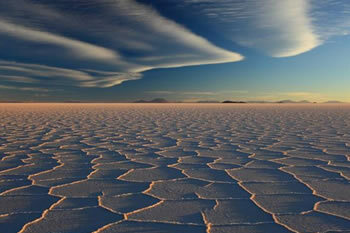 : Please keep in mind that – due to changing weather climate and also conditions of the route to Uyuni (especially during the rainy season between December and March) – the order of these attractions will be subject to change without prior notice; however, all attractions will always be accessible – except for Incahuasi Island (possibly inaccessible only during the rainy season).